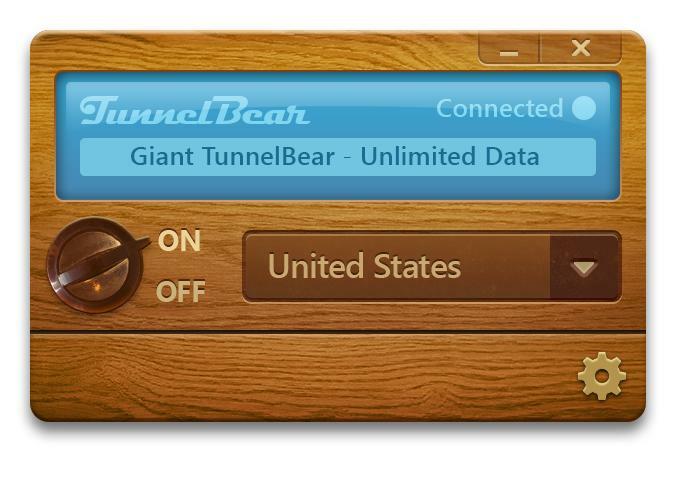 Tunnelbear, the beautiful and simple VPN that lets you browse the Web like you are in a different country, has retooled its desktop apps to add tighter security, greater speed and a more seamless performance. For those who don’t know of it, Tunnelbear can be used to access regional-specific services — such as Spotify, Netflix or BBC iPlayer — from anywhere in the world. Despite its aesthetically pleasing appearance and fun brand, it also offers a robust layer of security for those in countries affected by Web censorship or seeking to avoid monitoring. Driven by concerns around Internet privacy spurred by the NSA cyberspying revelations that leaked out this summer, Tunnelbear has introduced ‘vigilant mode.’ When turned on, this blocks all unsecured data from being transmitted while a computer is not connected to Tunnelbear. So, if your connection to the service is broken, for even just a minute, it will keep unsecured items offline until it reconnects. Vigilant mode is initially enabled on the PC app only — the company says it is “coming soon” to OSX — but both PC and Mac users will enjoy a set of performance tweaks. Tunnelbear can now be configured to load automatically when a computer boots up, and it loads faster when the device is woken from sleep mode. Those changes, plus a 35 percent faster connect to the network, are aimed at making it quietly omnipresent while you surf the Web. One of the biggest plus points to Tunnelbear is pricing. The paid version starts at $4.99 per month (or $49.99 for one year), which covers apps for a PC/Mac and two Android/iOS mobile devices. A mobile only subscription is also available — priced at £1.99 in the UK. Those wanting to sample the service, or use it infrequently, can turn to the free tier — which is ad-free — and a generous 500MB of data per month. That’s easily bumped up by a further 1 GB if users tweet to @Tunnelbear.